The last week was dull with rain and showers and less sunshine. 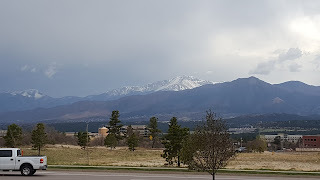 I love watching the cloudy and misty mountains from our window but I hate missing my 30 mins walk due to the bad weather. It is spring here but there is no complete relief from cold weather. The good thing about last week is that the dull weather didn't dampen my spirits. I went to library and got some interesting books to me and to kids. Visited the magnum opus Bahubali 2. It was great but my expectations were still higher. I planted seeds of marigold and cilantro, but i have to see if the cold, harsh weather let these saplings grow. Tasted awesome soups in Panera bread and happy to find a good restaurant with tasty vegetarian options here. Prepared blueberry muffins twice and I Thank God that my kids loved them. Started reading a historical fiction 'Indus Challenge' which is great so far. I have 2 more good books lined up for next. So, that's how my week went. 😊 How was yours? 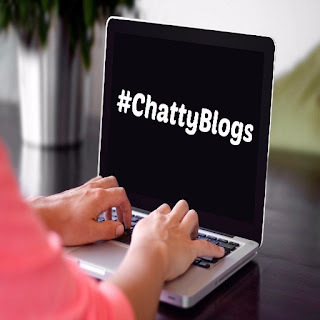 Join #Chattyblogs linkup hosted by Shanaya and share your random ramblings. 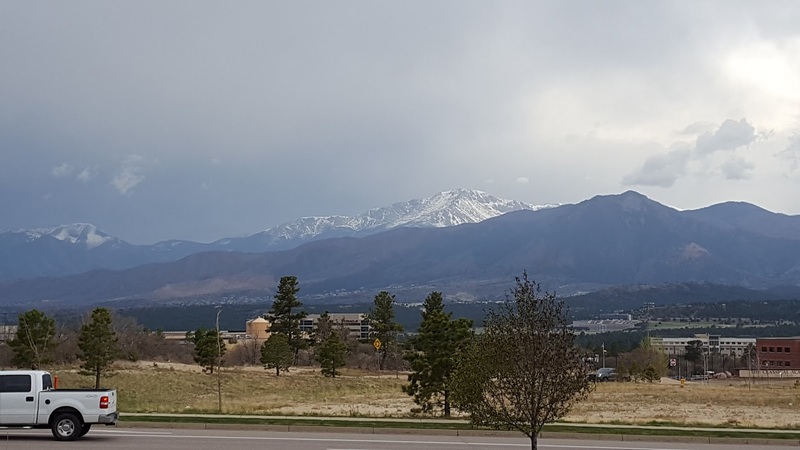 A beautiful mountain view. Years ago, I enjoyed making blueberry muffins with my son. Your post brought back some good memories. It is a rainy spring for us so far where I live. I don't think marigolds enjoy col weather all that much - it's a hot weather lover. But, the cilantro may be slow to grow but will probably do well. You had quite an interesting week. Amazing movie, great books, yummy food. And best of all, you started driving. In this country, that's independence right there. Btw, which part of US do you live in? Nice that you had a cheery week despite the weather! And hey I myself got my license and started driving today. ;) Wish you a great week ahead! 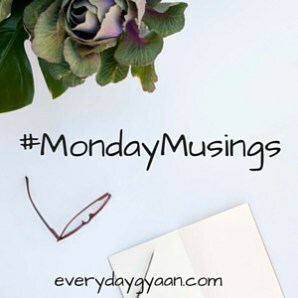 I love how you've captured all the good moments and turned this into a gratitude post. Family chauffeur must be a challenging role, though. Sigh, you bake too? I must be among the few people in the world who doesn't. Have a blessed week ahead, Ramya. Reading your post brought a smile on my face with you finding a good restaurant with vegetarian options. I haven't watched the epic Bahubali -2 .
i too hate to miss my evening walk but would love to bake cakes and cookies at home. my son loves them.